Last year, the CFPB issued important amendments, effective October 19, 2017, to the 2013 RESPA and TILA mortgage servicing rule provisions of Regulations X and Z. The amendments extend significant new rights to borrowers, particularly those seeking loss mitigation options to avoid foreclosure, and address several problems and omissions in the 2013 regulations. Far more detail on the new rules with examples as to their operation is found in the digital version of NCLC’s Foreclosures and Mortgage Servicing. That treatise will also be updated again prior to the April 19, 2018 effective date of additional mortgage servicing amendments dealing with application of the rules to successors in interest who become the owner of a home pursuant to a death, divorce, or other intra-family transfer and with the requirement to provide periodic mortgage statements to borrowers in bankruptcy. Servicing problems often occur at or near the time of transfer of servicing, caused by servicers’ inability to communicate with each other and reconcile account records. In the loss mitigation context, problems often arise when the servicing of the loan is transferred in the midst of an application review or trial loan modification. The new rule creates special provisions to deal with this problem, found at Reg. X, 12 C.F.R. § 1024.41(k), and analyzed in detail in NCLC’s Foreclosures and Mortgage Servicing § 3.2.8.3. When a loss mitigation application is pending at the time servicing is transferred, the transferee servicer generally must comply with the required loss mitigation timeframes applicable to the transferor servicer. The borrower thus retains rights and protections that the borrower was entitled to before the transfer. There are several differences though, as described below. A transferee has ten days to send the notice that acknowledges receipt of an application and identifies documents needed to make an application complete, if the transferor had not already done so within the five days required of it. During that ten-day period the servicer cannot take steps to initiate a foreclosure. See id. § 3.2.8.2.3. The borrower is given even greater rights in one respect when the transferee is given the ten days to send the acknowledgement notice. In a non-transfer situation, the servicer need not evaluate a borrower’s complete loss mitigation application if received thirty-seven or fewer days before a foreclosure sale. Where there has been a transfer the transferee servicer must comply with the rule’s loss mitigation requirements even if the transferor or transferee servicer receives the completed application shortly before a foreclosure sale, as long as the application is complete before a reasonable date disclosed in the acknowledgement notice. See id. § 3.2.8.3.3.1. If the transferor servicer receives a complete loss mitigation application before servicing is transferred, the transferee servicer must evaluate the borrower’s application within thirty days of the transfer date, rather than the date the transferor servicer received the complete application. The transferee servicer may have additional time if it needs information not in the borrower’s control. See id. § 3.2.8.3.3.2. If an appeal of a transferor servicer’s determination as to loss mitigation options has not been resolved as of the transfer date, and the transferee servicer has all the information needed to make a determination, the transferee servicer must provide the notice of its decision within thirty days of the transfer date. If the transferee servicer is not able to make a determination on the appeal, it must treat the appeal as a pending complete loss mitigation application, and the transferee servicer must comply with all of the loss mitigation requirements for the application, including evaluating the borrower for all loss mitigation options available to the borrower from the transferee servicer. See id. § 3.2.8.3.3.3. The new rule provides that a transfer of servicing does not affect a borrower’s ability to accept or reject a loss mitigation offer. If the borrower’s time period for accepting or rejecting a loss mitigation option offered by the transferor servicer has not expired as of the transfer date, the transferee servicer must allow the borrower to accept or reject the offer during the unexpired balance of the applicable time period for the borrower response. See id. § 3.2.8.3.3.4. The new rule amendments add an important new notice that must be sent to the borrower where the servicer has requested additional information to evaluate an application and the borrower responds by providing that information. The new notice informs the homeowner that the application is now complete because the additional requested documents have been submitted. See Reg. X, 12 C.F.R. § 1024.41(c)(3). Within five business days of receipt of a complete application, the servicer must send written notice to the borrower setting forth that, as of a specified date, the loss mitigation application is complete. The notice also provides information as to the homeowner’s rights, including that the borrower is entitled to dual tracking protections while the servicer evaluates the application. This notice is examined in detail at id. § 3.2.8.2.5a. While the old rule prevented a servicer from offering most loss mitigation options until it had a complete application to evaluate, the old rule did allow for a short-term forbearance while an application was incomplete. The new rule allows in addition a short-term repayment plan where repayment of no more than three months of past-due payments can be repaid over a period lasting no more than six months. See Official Interpretations to Reg. X, 12 C.F.R. 1024, supp. I, § 41(c)(2)(iii)-4. The new rule also provides that promptly after offering a payment forbearance program or repayment plan that is not rejected by the borrower, the servicer must provide the borrower a written notice stating the specific payment terms and duration of the program or plan, and that other options may be offered if a complete application is submitted. The new requirements as to a short-term loss mitigation option while an application is incomplete are examined in detail at id. § 3.2.8.2.9. Homeowners lost many of their rights under the old CFPB rule when they had previously been evaluated for loss mitigation by the same servicer—this “one bite at the apple” exclusion was a significant limitation on application of the rule’s consumer protections. The new rule narrows this exclusion, so that it does not apply if the borrower becomes current on the loan at any time after the prior complete application was fully reviewed. Any action that would remove the delinquency, such as the borrower entering into a permanent loan modification, would give the borrower the opportunity to be considered again with full rule protections if there is a subsequent default. See id. § 3.2.8.8 for more details. The new rule adds specific requirements if the servicer determines that documents and information needed to complete an evaluation of the application are not in the borrower’s control, such as a credit report or approval from a mortgage insurance company. The servicer must request the information from the appropriate party promptly upon determining it is needed and by a date that will enable the servicer to complete the evaluation within the required thirty-day period under section 1024.41(c)(1). Except in certain limited circumstances, a servicer must not deny a complete loss mitigation application solely because the servicer lacks required information not in the borrower’s control. See id. § 3.2.8.2.9a for more details. New commentary was added to give servicers more guidance in setting a “reasonable date” for a borrower to complete an application. The general standard is that the borrower should be given thirty days to provide the requested documents or information unless that time period would result in the borrower losing protections under the loss mitigation rule. However, a reasonable date must never be less than seven days from the date the servicer provides the notice. See id. § 3.2.8.2.4 for more details. When Is an Application Complete? New commentary clarifies the CFPB’s definition of a complete loss mitigation application. In general, a servicer may not stop collecting information for a loss mitigation option based solely upon the borrower’s stated preference for a particular option. The commentary gives some limited examples of when a servicer may stop collecting information, such as when it has received information that establishes the borrower is ineligible for an option based on the requirements of loan owner. See id. § 3.2.8.2.2 for more details. The date a mortgage loan becomes delinquent is the triggering event for calculating many of the time periods under the servicing regulations. The new rule provides a general definition of delinquency, and makes it applicable to all of the subpart C provisions of Regulation X and the periodic statement rule under Regulation Z. See Reg. X, 12 C.F.R. § 1024.31. A mortgage loan obligation is delinquent beginning on the date a periodic payment sufficient to cover principal, interest, and, if applicable, escrow, becomes due and unpaid, until such time as no periodic payment is due and unpaid. The CFPB’s definition contemplates that there can be a “rolling” delinquency—if a servicer applies payments to the oldest outstanding periodic payment, a payment by a borrower advances the date the borrower’s delinquency began. The potential for a rolling delinquency can significantly impact how the 120-day period for the dual tracking prohibition in section 1024.41(f)(1) is counted. This definition is examined in more detail in id. § 3.2.6.1a and § 3.2.8.7.2a. The new rule imposes stricter requirements upon servicers to control the actions of foreclosure counsel and service providers to ensure that they do not proceed with a foreclosure sale or take other action if the borrower is protected by the dual tracking restrictions in section 1024.41(g). A servicer is not relieved of its obligations because foreclosure counsel’s actions or inaction caused a violation. See id. § 3.2.8.7.5 for more details. The new rule changes how often the servicer must attempt to establish live contact with the borrower and send the early intervention written notice, as required by section 1024.39. New examples of the timing requirements have been added to the Official Interpretations. See id. § 3.2.6 for more details. Under the old rule, if a borrower sent a cease communication notice to the servicer pursuant to the Fair Debt Collection Practices Act, the servicer need not establish live contact with the borrower or send a section 1024.39(b) early intervention written notice. Under the new rule, the servicer can still avoid the live contact requirement, but in most cases must send the written notice, which also must be modified. For more detail, see id. § 3.2.6.4.3. The new rule provides that a servicer need not send periodic statements where the loan has been charged off and the homeowner will not be charged for any additional fees or interest on the account. 12 C.F.R. § 1026.41(e)(6)(i)(A); 81 Fed. Reg. 72,160, 72,389 (Oct. 19, 2016). In that case, the servicer must provide to the consumer a periodic statement labeled “Suspension of Statements & Notice of Charge Off—Retain This Copy for Your Records,” explaining the meaning of the charge-off—including that while no additional fees and interest will be charged, that the homeowner is still obligated for the mortgage loan. If a servicer stops treating the mortgage loan as charged off or charges any additional fees or interest on the account, the servicer must resume providing periodic statements to the consumer. The servicer may not retroactively assess fees or interest. One can anticipate violations of this provision where servicing or ownership is transferred and information about the loan’s status is not properly transferred. See id. § 3.6.4.5.2 for more detail. One area that the prior rule did not address involves situations where the borrower under a temporary loss mitigation program makes the payment required by the program, but where this payment is less than that required under the previous payment schedule. 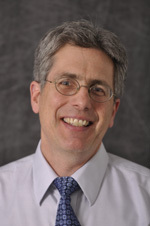 In that case, the new rule treats this as a partial payment and the servicer can place the payment into a suspense account, also known as an unapplied fund account, if authorized by the contract and permitted by state law. Funds must be applied from the suspense account to pay down the obligation when the amount in suspense is equal to or greater than the old periodic payment. On the other hand, full payments under a permanent loan modification do not go into a suspense account; the payment must be credited under the terms of the permanent loan agreement. See generally id. § 3.6.3.3.2. New CFPB commentary discusses the different options for how servicers must respond to a request for information seeking loan ownership information when Fannie Mae or Freddie Mac is a guarantor, owner, or trustee. It addresses two distinct situations: one where Fannie Mae or Freddie Mac guarantees the loan and the other where Fannie Mae or Freddie Mac owns the loan or serves as trustee for the pool of loans that includes the loan. See generally id. § 3.2.2.10.7. Looking for further resources on foreclosure? 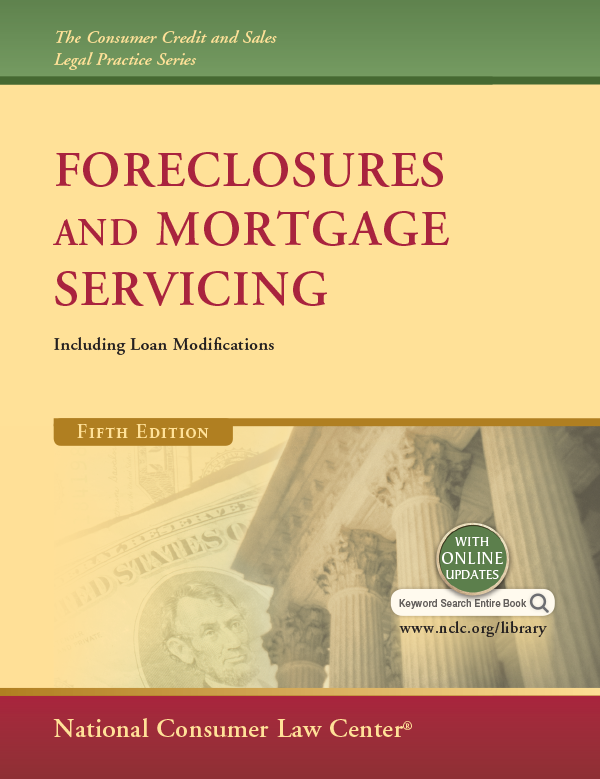 Read the first chapter of Foreclosures and Mortgage Servicing for free. This bestselling NCLC treatise includes recent changes and extensive new case law interpreting the rules; everything from required loss mitigation procedures to prompt investigation of servicing errors.